Knutsford Christmas Lights switch on will take place in Canute Place, Knutsford at 7pm on 30th November. The cast of Oliver will be there and have a slot on stage to sing some of the songs from Oliver, which we are staging at The Grange, Hartford, in January. 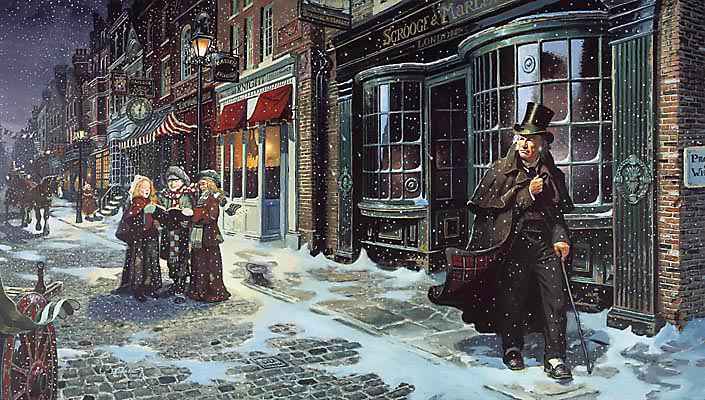 This should give the whole Christmas atmosphere a suitably Dickensian feel and get the Christmas mood going. Lisa, holding a jar of delicious sweets, would also like to sell you some musical theatre tickets. 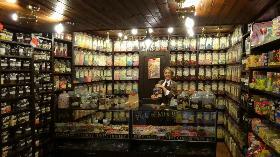 Mr Simms Olde Sweet Shoppe have generously offered to sell "Oliver!" tickets for KMTC. A stock of tickets for "Oliver!" have been dropped off at the shop this very afternoon, so if you don't want to book online then pop into the Olde Sweet Shoppe on King Street and get your tickets there. While you're in there, take advantage of a great chance to stock up on your favourite treats for Christmas too, rather than just enjoying the wonderful smell of all those sweets and chocolate, but not gruel, definitely no gruel here. Did you know you can follow us on twitter? If you tweet then catch up with KMTC1 on Twitter. But that's not all. We have our own Facebook fan page. There's loads of interesting stuff and if you "like" our page you'll automatically get all out Facebook chat on your newsfeed. As you can see, the dudes in this photo are not dressed for "Oliver!" at all. No, no, no, they look more like rap artists and we need to make them look like genuine Victorian orphans, who have spent years with chronic depravation. Therefore, we are launching an urgent "Costume Plea!" We are looking for old school trousers in grey or black and old school shirts in grey or white, to make the costumes for the orphan boys (and girls). We could also use some old caps or hats for Fagin's Gang. The children are aged between 6 and 13 years. If you send anything you have to Lesley at rehearsals, before the end of November, we would be very grateful. The tattier the better and don't expect it back; it will all be reduced to rags! At rehearsal on Thursday it was great to see so many children rehearsing in their boots for the show; it really makes a difference to the way they move and dance. It's great! See website for the rehearsal schedule.